If you’re living with incontinence, you know how upsetting and frustrating this condition can be. What you may not know is that treatment can reduce or even eliminate your incontinence symptoms. 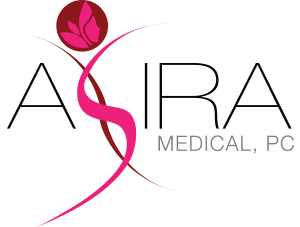 At Asira Medical in Yorktown Heights, New York, Dr. Monica Grover provides a wide range of treatments for incontinence. 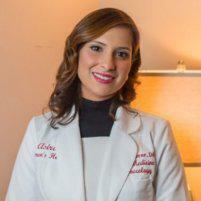 Dr. Grover is double board certified in Family Medicine and Obstetrics and has extensive experience treating patients who suffer from pelvic floor disorders. If you’re ready to find a solution for your incontinence, call Dr. Grover today or book an appointment online. Incontinence is the medical term for difficulty controlling your bladder or bowels. While incontinence can be embarrassing, it’s a common medical condition. Incontinence affects up to one-third of American adults. If you suffer from incontinence, you may experience bladder or bowel leakage whenever you sneeze, cough, or laugh. Sometimes, you might feel that it’s difficult for you to empty your bladder or bowels fully. You may feel a strong or sudden urge to use the toilet, or you may have trouble making it to the toilet in time. You may struggle with incontinence if you have difficulty getting around. For example, a person in a wheelchair may find it difficult to get to the toilet quickly enough. In some cases, prescription medications or medical treatments can also cause incontinence. Women are more likely to experience incontinence than men. Many women struggle with incontinence following pregnancy, childbirth, or menopause. These conditions can weaken the muscles in your pelvis. When these muscles become weak, it may be harder to control your bladder or bowel movements. At Asira Medical, Dr. Grover offers each patient an in-depth consultation. She may ask questions about your symptoms and medical history. A physical exam or an ultrasound can also help Dr. Grover determine the cause of your incontinence. After the consultation, Dr. Grover develops a customized treatment plan to address your incontinence symptoms. You may receive medication or recommendations for performing pelvic floor exercises. Dr. Grover provides guidance on which of these treatments will be most beneficial for you. In some cases, Dr. Grover may recommend surgery. Surgical procedures can help strengthen or reposition the muscles around your bladder or bowels to prevent leakage. Coping with incontinence can be frustrating and embarrassing, but Dr. Grover's discreet and compassionate care can help you regain your self-confidence. For help managing your incontinence symptoms, call Asira Medical today, or book an appointment online.